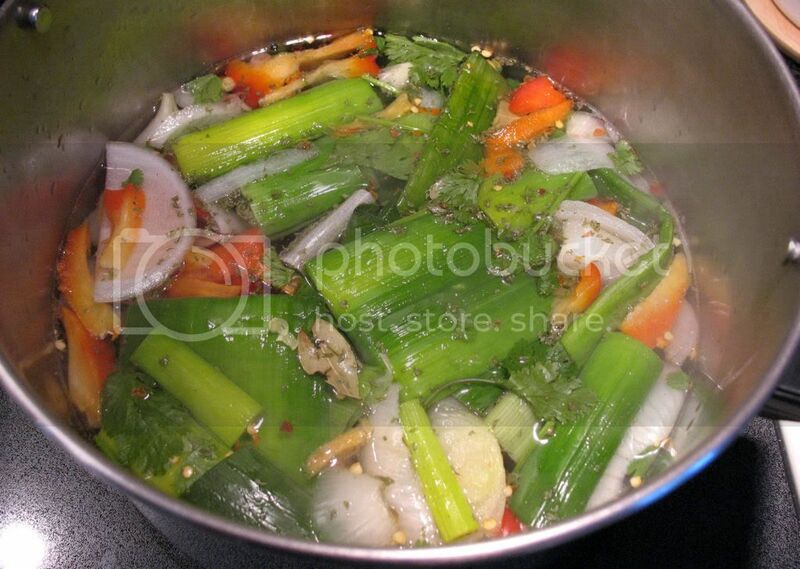 I usually don’t use vegetable stock. 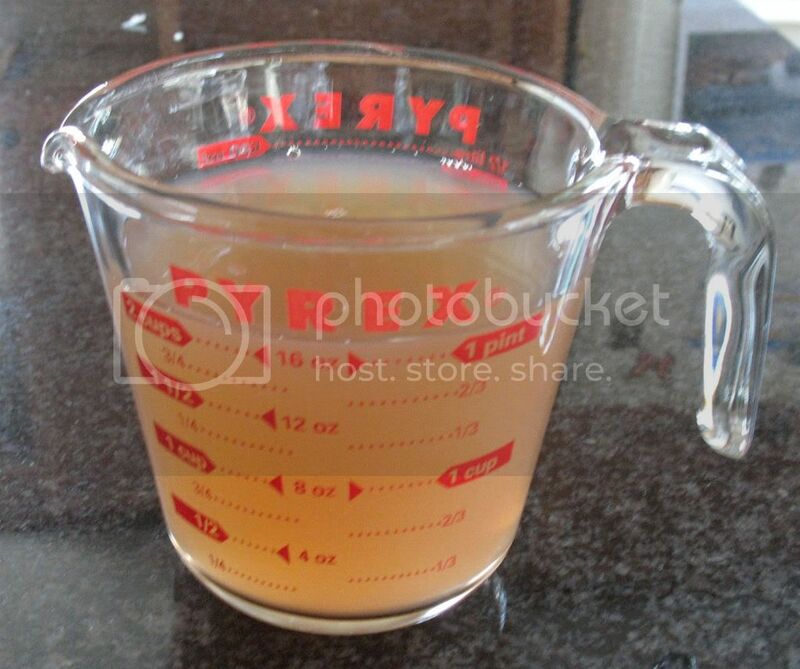 Chicken broth is an excellent substitute, and it usually costs much less. For some reason, our grocery stores don’t carry generic or reduced-sodium vegetable stock. Now that it’s Lent, I have needed vegetable stock for several recipes. It seemed foolish to pay $1 or more for vegetable-flavored water, when I could just make it myself. Really, how hard could it be? I did a little searching online and found that it’s just as easy as I thought it would be. Over the course of about two weeks, I stashed bits of vegetables in a zip-top bag in my freezer. Once it looked like I had enough vegetable scraps, I followed the instructions on this website. Most vegetables can be used in stock, but cabbage, broccoli, cauliflower, asparagus and tomato can be overwhelming. Among other things, I accumulated bits of onion and zucchini, scraps and ribs of peppers and green leek tops. For good measure, I added a little bit of frozen corn, 2 bay leaves, whole peppercorn, a chopped up garlic clove and a several shakes of dried spices. Some cilantro was starting to look wilted, so I threw a small amount of that in too. While the site listed above recommends a 1:1 ratio of solids to liquid, I found other sites that went with a 2:1 solid to liquid ratio. Wanting to get more bang for my buck, I tried the latter. The vegetable scraps filled about 6 cups, so I added 12 cups of water. After simmering for nearly and hour and straining out the solids, I was left with 8 cups of dark, flavorful vegetable stock. Not only did I save a few dollars, but I think my homemade stock tastes better than the store-bought variety and is sodium-free.